Well known as Fifinho, the midfield maestro Refiloe, 26, has most recently played for an Australian W-League outfit Canberra United, which is her first international club. Prior to the W-League, the Banyana Banyana star spent her career in her home country where she played for the Vaal University of Technology, Mamelodi Sundowns Ladies F.C. and Colchester Ladies F.C. Despite her young age, the bright midfielder has already earned 106 caps for South Africa Senior Women’s National team scoring 12 goals and captaining the side on a number of occasions. She helped Banyana Banyana to reach the final of last year’s African Cup of Nations held in Ghana. She has also featured at the 2014 African Women’s Championship in Namibia, the 2016 Rio Olympics, the 2012 London Olympics, as well the 2012 African Women’s Championship where South Africa also reached the final, and took part in multiple other international competitions. 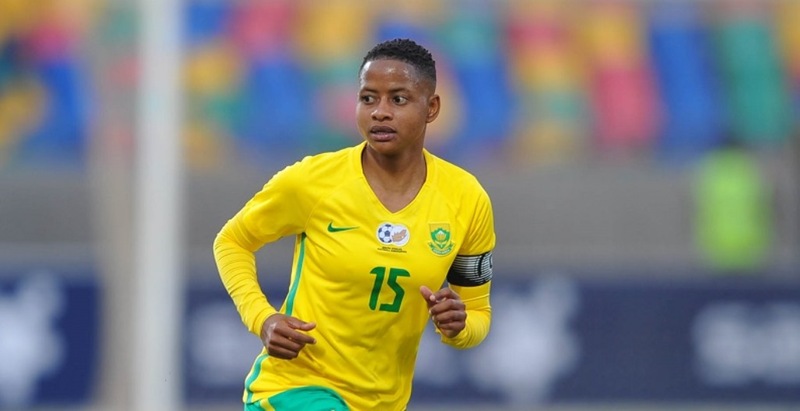 Refiloe is widely expected to represent her country as one of the leaders of the team in the upcoming FIFA Women’s World Cup in France, the historic first appearance for Banyana Banyana at the summit of the International Women’s Football. She joins a fellow South Africa international, Leandra Smeda, who is also represented by LTA Agency. LTA Agency are very pleased to join forces with such a talented player and a natural leader as Refiloe Jane and look forward to a long and successful relationship with her.